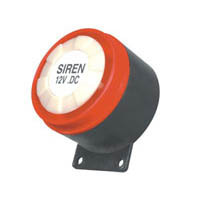 A siren is a loud noise making device. Most modern ones are civil defense or air raid sirens, tornado sirens, nuclear test sirens, or the sirens on emergency service vehicles such as ambulances, police cars and fire trucks. There are two general types: pneumatic and electronic. Many fire sirens serve double duty as tornado or civil defense sirens, alerting an entire community of impending danger. Most fire sirens are either mounted on the roof of a fire station, or on a pole next to the fire station. Fire sirens can also be mounted near government buildings, on tall structures such as water towers, as well as in systems, where several sirens are distributed around a town for better sound coverage. 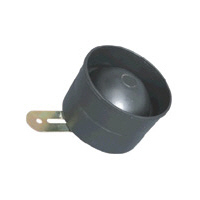 Most fire sirens are single tone and mechanically driven by electric motors with a rotor attached to the shaft. 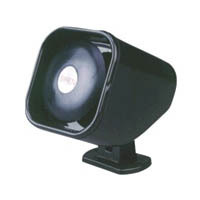 Some newer sirens are electronically driven by speakers, though these are not as common. Fire sirens are often called "fire whistles", "fire alarms", or "fire horns." Although there is no standard signaling of fire sirens, some utilize codes to inform firefighters of the location of the fire. Civil defense sirens pulling double duty as a fire siren often can produce an alternating "hi-lo" signal (similar to a British police car) as the fire signal, or a slow wail (typically 3x) as to not confuse the public with the standard civil defense signals of alert (steady tone) and attack (fast wavering tone). Fire sirens are often blasted once a day at noon and are also called "noon sirens" or "noon whistles".